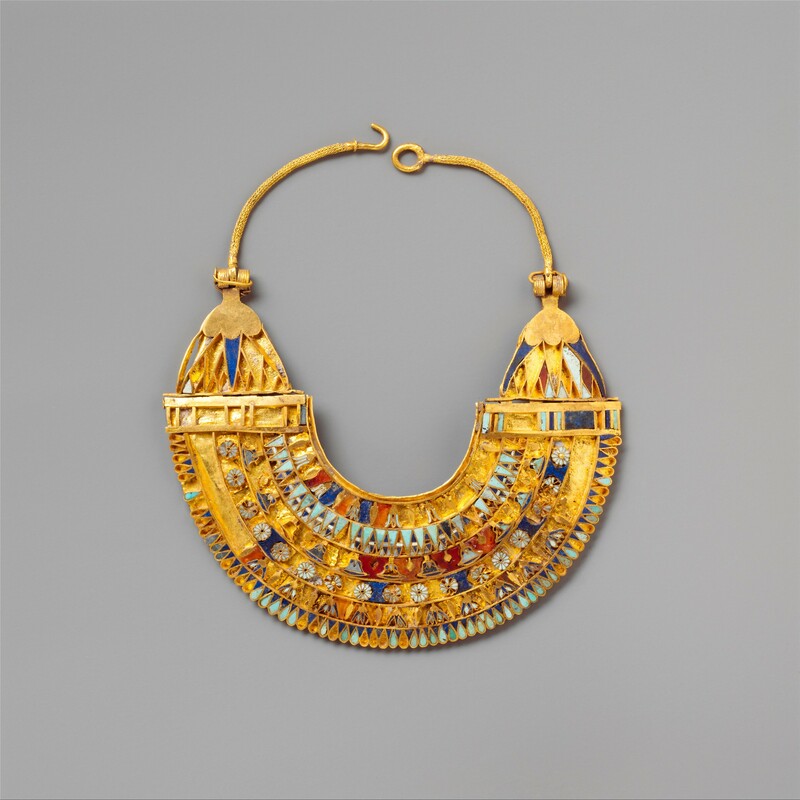 Ancient Egyptians loved to wear jewellery and here's our Show Me version of a collar of beads for you. Take some cardboard (we used an empty cereal box) and two plates - one smaller than the other. Draw a semi-circle collar shape - see photos - and cut out and paint on one side with gold paint. Paint macaroni pasta in different colours for the 'beads' and allow to dry. Glue the beads onto the collar in a pattern. To attach one side of the collar to the other, you can use string or thread up some gold-painted macaroni for a 'chain'. Once you're all finished, head on over to the Birmingham Museums for kids website where you can investigate real Ancient Egyptian artefacts. Good luck with your bead collar! Did you know that Show Me has instructions to help you make an Egyptian outfit? We can also show you a tunic that was worn by Ancient Egyptians. All images copyright of Culture24 unless otherwise stated. How about making your own scarab necklace?